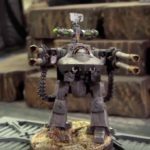 Welcome to this week’s Warhammer Tactics! Today, we’re going to be diving into everything you could ever want to know about dice odds. If you’re curious about the effects of re rolls, bonuses or minuses to dice, or the odds of charging out of deep strike, then look no further, because we’re going to cover it all today. Knowledge is power, and with this newfound knowledge, you’ll have the power to make all the right decisions, both before the game while writing a list, and during a game! 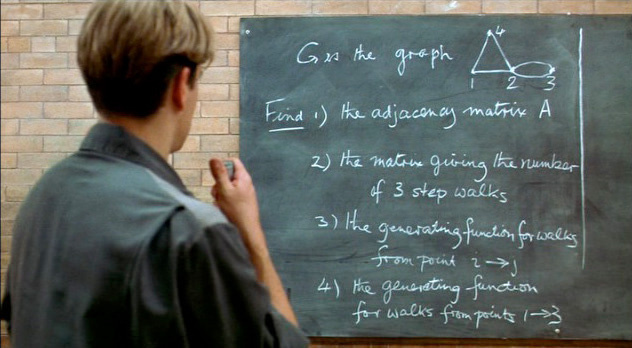 Get out your calculators, because we’re going to be doing a ton of math today. Don’t worry, I’ve done everything I can to make it as easy to follow as possible, so you won’t be needing any college level math here today! I suggest bookmarking this specific article somewhere on your browser so you can come back to it later, since you may find yourself wanting to check this information out again! I’ll also be dividing this article into clean sections that are easily identifiable, so you can quickly jump to the section you want to read up on again with little to no searching required. Before we begin, we need to establish something. 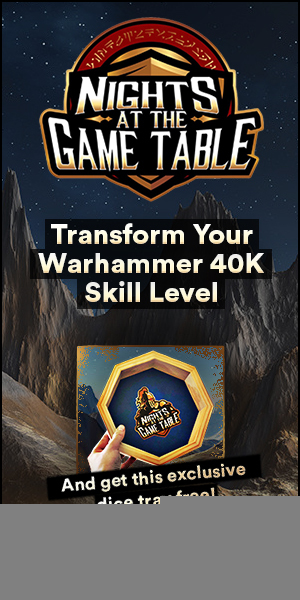 40K is a very random game, and part of the game is responding to that randomness. Frankly, it’s also a large part of the fun. Dice can dictate that a lone Tactical Sergeant takes down a mighty Demon Prince, and those moments are worth their weight in gold. 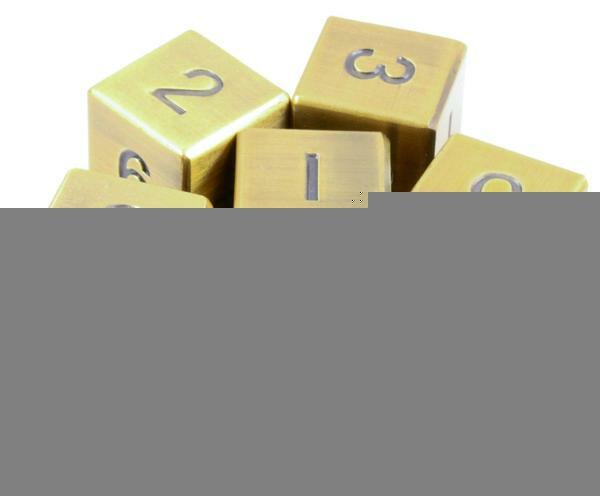 However, when it comes to making informed decisions, we assume perfectly average dice, and not lucky or unlucky rolls. This is because, in aggregate, assuming your dice aren’t loaded or very poorly made, they should more or less work out to be average across the tens of thousands of times that you will roll them. Anyone familiar with Math-hammer will already know this, but for those who are new to this, it’s important to establish. To kick us off, let’s look at one of the most common abilities in the game: the ability to re roll 1’s to hit. Most armies in the game have access to it, but how much of a difference does it really make? 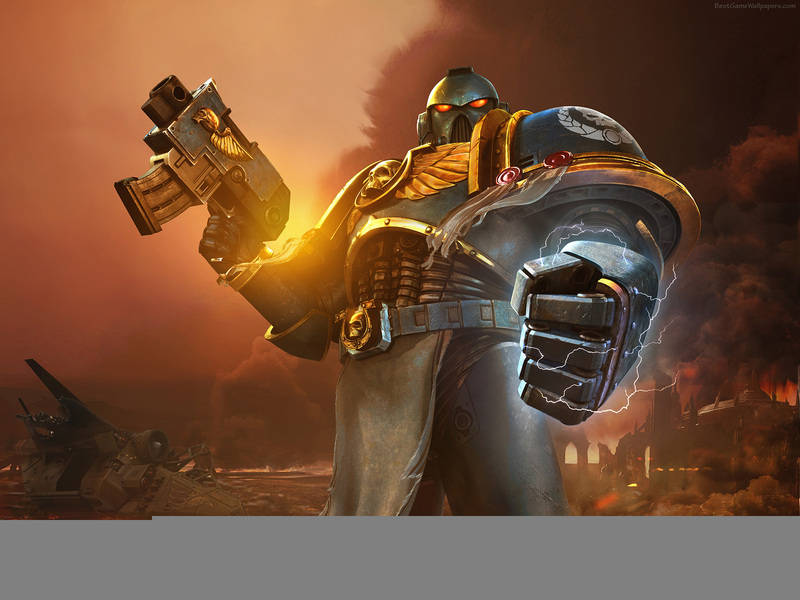 Let’s assume we have a Space Marine shooting his bolter. Normally, he is hitting on 3+. That means that he hits 2/3rd’s of the time, or ~67% of the time. We know he hits 2/3rd’s of the time since a d6 has 6 facings, 4 of which (3 4,5,6) that result in a success, out of 6 possible results. However, the ability to re-roll 1’s changes the result of a 1. Normally, it’s a failure, but now it’s a second shot, with a 2/3rds success rate. Effectively, this means that out of the 6 possible results on a D6, now our Marine has 4 facings that are a success, one facing that is 2/3rds of a success, and one facing that’s a failure. 4 and 2/3rds out of 6 is a pretty awkward result, since it’s a fraction in a fraction! Luckily, it’s easy to fix. If we multiple 4 and 2/3rd’s by 6, we get 28/36, or ~78%. That’s a ~17% increase in accuracy, 16.666 repeating to be precise, and that’s not too shabby! If you found that example a little hard to follow because of all the fractions, let’s look at this another way. 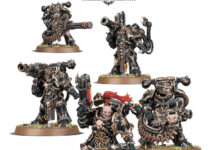 Imagine you have 36 Space Marines now, all shooting their bolters. Because we have perfect dice, we make 36 attack rolls and get 6 1’s, 6 2’s, etc. We have 24/36 hits, and 6 1’s to re roll. We grab the 6 1’s and re-roll them, and we get 1, 2,3,4,5, and 6, because again perfect dice. We have 4 more hits, which we add to our pool of 24 for a total of 28/36 hits, which is the same number we got with our fractions. This is a more visual example of the mathematical example above. Now, here’s where this gets really interesting. It doesn’t actually matter what you’re hitting on. Whether you have a Ballistic Skill of 6+ or 2+, you will ALWAYS be ~17% more accurate, and therefore ~17% more damaging! I’ll show you with those two numbers to demonstrate. Let’s start with a BS 2+ model, let’s say Custodes. Just for the sake of clean math, we have 36 Custodes shooting one shot each. That’s 36 shots, 30 of which hit, 6 of which we re-roll, scoring another 5 hits, for a final hit total of 35/36. If we divide 35 by 30, we get 16.666 repeating, which I round up to ~17%, the same as with our Space Marine example. If we do the same thing with 36 attacks hitting on 6’s, we get 6 hits and 6 re-rolls, and we get one more hit from our re rolls for a total of 7. 7/6 is, you guessed it, 1.166 repeating, or ~17% improvement. Not only is re-rolling 1’s to hit the same regardless of your Ballistic Skill, but it’s also a flat ~17% improvement to your damage whether you get to re roll 1’s to hit, or 1’s to wound. 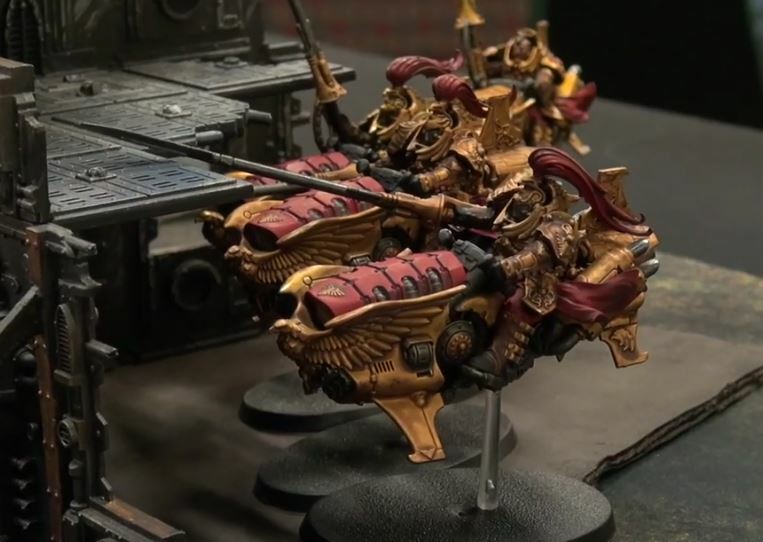 Obviously, most armies have access to re-rolls 1’s to hit, but there are a couple models that bestow re-roll 1’s to wound, like Necron Lords. 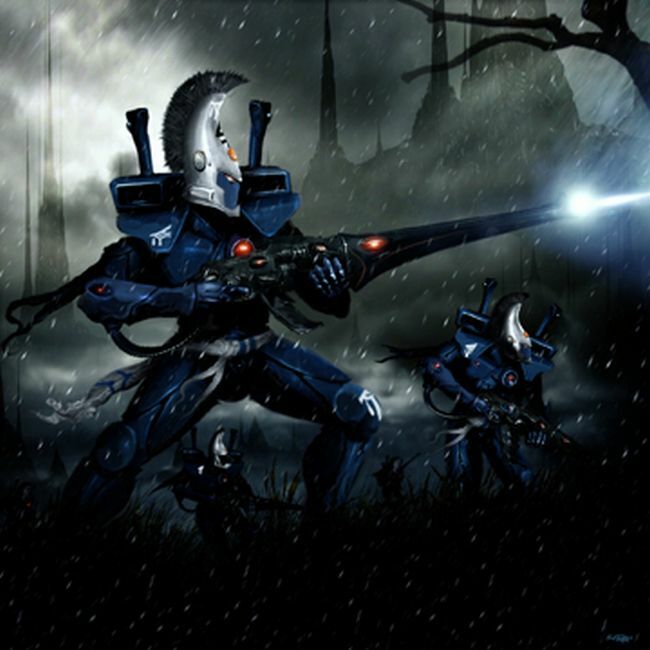 Consider 36 Necron Warriors shooting at some Imperial Guard. Normally, they hit on 3+ and wound on 3+. That means we should get 24 hits, and 16 wounds. We won’t worry about saves for this since it doesn’t affect our results. 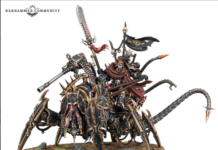 If these 36 Warriors are near a Necron Lord, they get to re roll 1’s to wound. Since we have perfect dice, our 24 hits are 4 1’s, 4 2’s, so on and so forth. Our 4 re rolls go on to score us an additional 2.667 wounds, for a total of 18.667. Dividing 18.666 repeating by 16 gives us 1.1666 repeating, or an extra 16.666 repeating percent more wounds. And if you’re curious, having a re-roll 1’s buff to both hit and wound is a 1.1667*1.1667 improvement to overall damage, or a 1.36111 (~36% ) improvement! So, the lesson here is that you should never leave your re-roll buff’s at home! They are noticeable damage multipliers that are easy to include into most armies. Since it’s related, I’ll also quickly touch on abilities that allow you to re-roll everything to hit. It’s super easy compared to just looking at re-rolling 1’s. Just figure out what your failure rate is, square it, and you have your new failure rate. Subtract that from 1, and you have your new success rate. For example, going with Marines, they have a 1-3 failure rate, or 1/3rd. 1/3rd squared is 1/9, which is their failure rate if they re-roll all misses. 1/9th failure rate means they have a 8/9th’s hit rate. Divide that hit rate by their old hit rate, and we see it’s a ~33% increase to accuracy. Nice and easy! Let’s move on to dice modifiers. These come up all the time in the game, but their value is rarely discussed. To properly understand dice modifiers, we need to break down the attack process, which is something you’re already probably very familiar with. A lot of this will be pretty basic, but it’s important because it’s going to establish a couple of ground rules for dice modification. Attacking can generally be broken down into a 4 step process: Rolling to Hit, Rolling to Wound, Rolling to Save, and Inflicting Damage. Since practically all dice modifiers affect one of the first 2 steps, we’re going to focus on them. When rolling to hit, as a player we are really concerned with how many hits we get, not how many misses we get. The same is true when rolling to wound. We care about how many successful wounds we get, not how many dice fail to wound. The opposite however, is true when our opponent rolls to save. We care about how many saves our opponent fails, not how many they pass, since failed saves go on to inflict damage. Just keep that in mind, although we won’t be talking about saves much from here. This is important because it gives us a sense of direction when talking about dice modifiers and the effects that they have. Specifically, it establishes that we are concerned with how many hits or wounds that we get (or our opponent gets), and how many saves our opponent fails (or that we will fail). So, the logical extension here is that we should look at dice modifiers in terms of successful hits caused, successful wounds caused, or failed saves caused. Now that we have established how we talk about dice modifiers and why, let’s dive into modifiers themselves! Imagine for a bit, if you will, that you have 6d6 in front of you. These 6 dice are turned to count from 1-6. 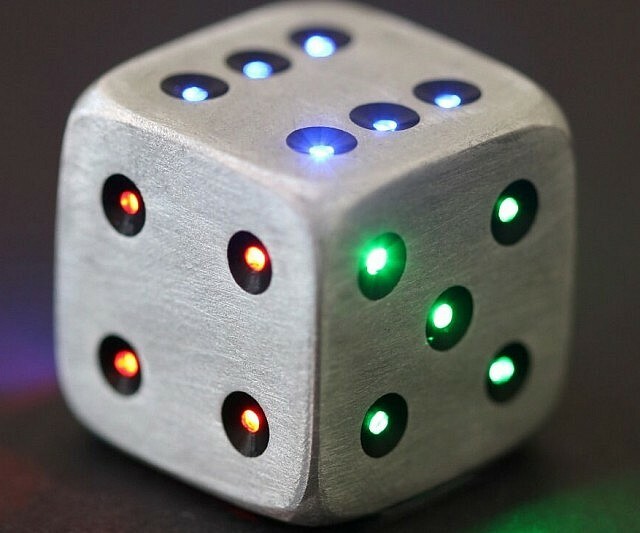 These 6 dice represent all of the possible results that you can roll on a d6. We can now look at any situation in the game that we want to and evaluate it. 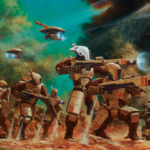 Let’s take a basic example: A Chaos Space Marine shooting at another Chaos Space Marine before and after Veterans of the Long War (a stratagem that provides +1 to wound) with a bolter. Normally, our Marine wounds on a 4+, since Bolters are Strength 4 and Chaos Marines are T4. That means that we score a success on a roll of a 4, 5, or 6. Looking back to our visual example, we can see that this is a 3/6th’s success rate. For the purposes of this lesson, we won’t simplify fractions just to make the numbers cleaner, even though normally 3/6th’s would get simplified to ½. If we use Vets, we now succeed on a 3+ as well, meaning we now have a total of 4 successes. We’ve gone from 3/6th’s to 4/6th’s, which is a ~33.33% increase in damage! Now, you may be looking at this and scratching your head a bit. We went from 3/6th’s (50%) to 4/6th’s (66.667%), and I said we had a 33% increase in damage. Yet, our wound rate went up only 16.667%, from 50 to 66.667, so what’s the deal? Well, this is why earlier we established we’re only concerned about our successes, not overall. Yes, the value of 1/6th is only 16.667. But this improvement of 16.667% doesn’t exist in a bubble by itself. It’s in relation to another number, in this case, 3/6th’s, or 50%. So, when we talk about an increase in damage, we talk about in relation to our previous figure, not in an abstract sense. Since 4/6th’s is 33% bigger than 3/6th’s, it means we get 33% more damage. You can test out yourself, if you want. You’ll find that regardless of your base figures, a clean +1 to hit or wound will never actually give you a 16.667% increase in overall damage! This leads to an important conclusion regarding dice modifiers, which is that the better your hit/wound rate is, the less impactful modifiers to your dice are in either direction, while the worse your hit and wound rate is, the more impactful those modifiers are. I’ll illustrate to explain. 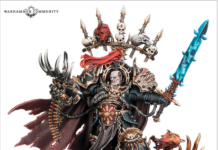 Let’s say we have a hypothetical player with some Imperial Guard and Custodes fighting some Alatoic Eldar. So, the immediate conclusion here is that buffs to dice modifiers on models that are less accurate or less likely to wound are more impactful than models that are more likely to hit or wound, and this is a good rule of thumb. If you’re in the middle of a game and don’t have time to do a bunch of math, than defaulting to this rule of thumb is pretty reliable. However, there are rare occasions where this isn’t the case, so make sure to put in some time doing math on the units in your army that you can buff to find the best units to use certain buffs on and against what targets! And at last, this brings us to charge rolls. Specifically, we’re going to talk about the odds for charging out of deep strike. I’ll cover regular charges (simple 2d6), planning on investing a CP re-roll to re-roll a die, being able to re-roll a failed charge, and being able to re-roll a failed charge while also planning on investing a CP on said charge, effectively being able to re-roll either or both dice. 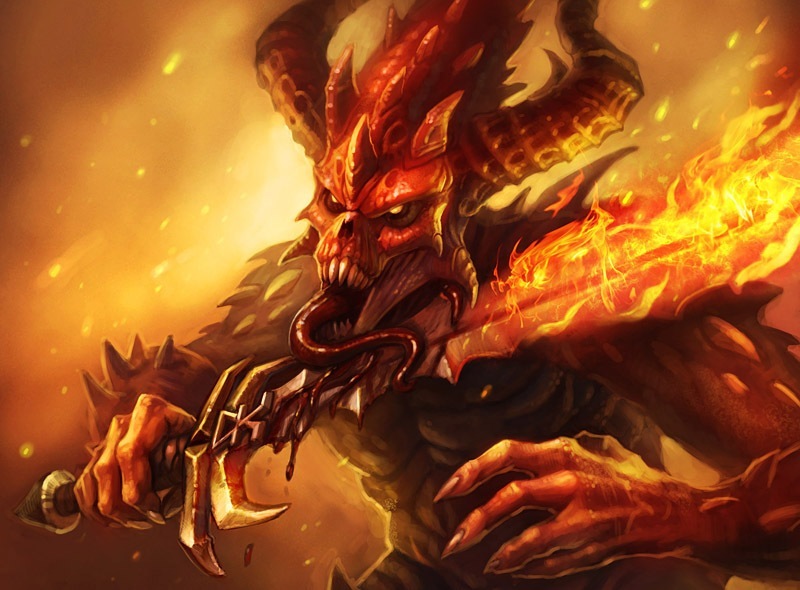 As if that doesn’t sound like enough, I’ll also cover having a +1 to charge rolls, since some armies like Demons have that bonus for all of those different permutations, AND being able to roll 3d6 for all of the above situations I described for 2d6, both with and without a +1. 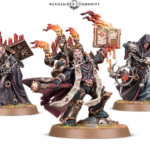 So no matter what your specific army is capable of, you now have a resource to tell you exactly how likely you are to land a charge or two out of deep strike to help you make the most informed decisions possible regarding to list creation and game play decisions. Before we begin, we need to have another visual in mind. Originally, this section was going to have a bunch of graphs depicting this information. But, I think it will be a lot simpler for everyone if we simply visualize a graph in our heads a bit, and we simply reference this imaginary graph. Imagine a 6 by 6 grid, where both the rows and columns are labeled 1-6. Our rows are our 10’s place, and our columns are our 1’s place. This gives us 36 squares representing the 36 possible results on 2d6. To figure out our odds of rolling 2d6 and getting a 9 or better, you simply write out the 36 possibilities, and figure out how many add up to 9 or better. As it turns out, there are 10 results out of a possible 36 on 2d6 that add up to a 9 or better. So, we have a 10/36 success rate, which is about 28% (27.777 repeating, specifically). But what if we can re-roll our charge? Well, the easy way to handle that is to find out how likely we are to fail a charge twice in a row. Since we have a 28% success rate, that means we have a 72% failure rate. 72% squared is ~.52, or 52%. Since we have a 52% failure rate, that means we have a 48% success rate. Let’s move to something that’s actually a bit more complicated, which is planning on investing a CP to re roll a single dice. I won’t be dragging you down with piles of math for this, and instead I’ll be describing the math I did in a broad sense, give a couple examples, and the total. Pretty much from here on out, I’ll be following that kind of set up. This way, you can get the information without drowning in multiplication and addition. So, I wrote out my 6×6 grid, and assigned each result a score from 0-100. If the result had no chance to succeed, even with a CP re-roll, it received a score of 0. For example the result 1/1 gets a 0, because even if I re-roll a 1 and get a 6, for a new result of 6/1, that’s only a 7, which is a failure. If the result was a success without a CP re-roll, it got a score of 100. For example, the result 6/3 is a score of 100, since it’s already a success. For every other result, it received a score based on its likelihood to succeed with a CP re-roll. Its score is be equal to its likelihood to succeed as a percentage. For example, let’s take the result 5/3. This adds up to 8, which is a failure. However, it has a 50% chance to succeed with a CP re-roll, since re-rolling the 3 will add up to 9 or better half of the time (4+). This result gets a score of 50. After scoring all 36 results and adding them together, we get a score of 1854/3600, which is a 51.5%. That means that we have a 51.5% chance to succeed on a charge from deep strike, if we want to invest a CP on the roll. Next, what if we can re-roll either or both dice? This is especially applicable to Ork and Khorne players, since they have easy access to the ability to re-roll failed charge rolls. Well, I followed the same method as I did for the CP re-roll, but factored the ability to re roll either or both dice. In most situations, it’s actually more beneficial in terms of getting a success to spend a CP and re-roll one die, rather than re-roll both. In fact, there are only 9 results (11/12/13, 21/22/23, and 31/32/33) where straight up re-rolling both dice is better than re-rolling one. Anyways, I did the same thing, assigning every result a score, except every result now has a minimum score of 28, since you can always opt to re roll both dice and try again, which has a 28% success rate. This gave the score of 2021/3600, or 56%. Let’s move on to charges with +1 to their charge results. This is very common for any Demon player, since they have an upgrade that provides +1 to advance and charge rolls. This moves our requirement to succeed down to an 8, since 8+1 is 9. Basically, I followed the exact same steps that I did for needing a 9, and simply moved my target number to 8, which of course greatly increases our number of successes. If you’re just making a straight 2d6 roll, you’ve got a 15/36 success rate, or ~42%. If you can re-roll your charge, you jump up to a ~66% success rate. Interestingly, if you score out all of your possibilities with a CP re roll like I did before, you get a score of 2370/3600, or ~67%, which is practically the same as being able to re roll your charge. If you can do either or both, your score jumps up to 2549/3600, or ~71%. And now this is where things get fun, which is the 3d6 charge roll. The way I handled this was creating 6 more 6×6 grids, just like the first one, except after I was done, I went one grid at a time and added a number to every single result. The first grid I added a 1, the second a 2, and so on. This gives me a total of 216 results, for the 216 possibilities on 3d6. From here, the process was mostly the same, albeit more difficult. First, I tallied the number of success to find the odds of a straight 3d6 roll. I found that there are 160/216 success on 3d6, which is about a 74% success rate. If you can re-roll that, you jump up to a ~93% success rate, which is pretty high! Finding out the odds of a CP re-roll was difficult, but I found a way. I simply went through each grid, one at a time, and scored each grid individually like I did the 2d6 rolls. I then added all 6 scores together, and got a total of 19,381/21,600 or just shy of ~90%. If you can re-roll the entire 3d6, or one dice, that bumps the score up to an impressive 20,336/21,600, or ~94%! Time to close out with the last possibility, which is the 3d6 charge roll, with +1 to charge. This is almost exclusively pertinent to Khorne Daemon players, however, we leave no stone unturned here at Nights At The Game Table! First, let’s start with the basic odds of success on a 3d6 roll needing an 8. We succeed 181/216 times, which is a ~84% success rate. If we can re-roll that charge roll, it jumps to a whopping ~97% success rate. Digging into the nitty gritty with some CP re rolls, we find that with only the CP re-roll option, we have a rather surprising total: 20,336/21,600, the same total as having to make a 9” charge, with the ability to re roll the failed charge and investing a CP into the roll. I’m not sure why in terms of the math why these numbers are the same, but I double checked my scoring and got the same totals. Finally closing this out is the option to re roll a failure, or CP re roll one dice, with a score of 21,024/21,600, or a whopping ~97% success rate on that charge. The reason this number isn’t improved from just being able to re-roll is because in every circumstance, you’re more likely to succeed by just re-rolling everything than re-rolling one dice. Phew! 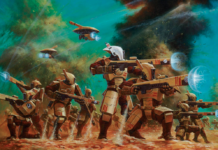 I know this was an extremely long read if you sat and read the entire article, but remember that this article is also intended as a reference document for players in the future in case they have questions about how to calculate most common math questions that come up in 40K. Well, that finally brings us to a close. Our last couple articles have been more theoretical nature, discussing things like math or tournament play. 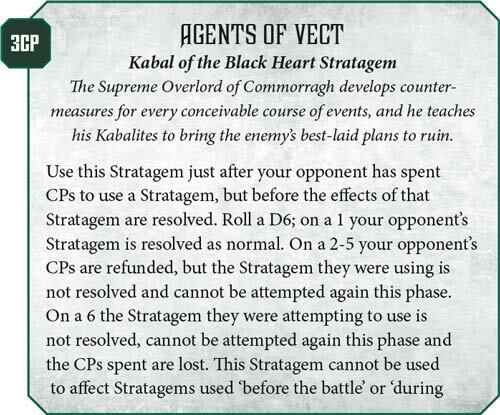 Make sure to turn in next week, where I’ll be going over something far more practical: what you can do to be victorious against Agents of Vect! 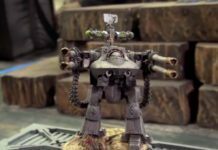 Previous articleSneak Peek Battle Report: Craftworld Eldar vs Death Guard!